Easter signals it’s time for spring in Pioneer Valley. 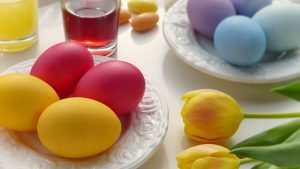 Join us to celebrate the season for our Easter Brunch created with locally-sourced ingredients. All guests are welcome to start the meal with our bountiful Starter Market Buffet including various freshly baked bread, salads, antipasti, and more.